Go Pink! This event can be as serious or as social as you like! 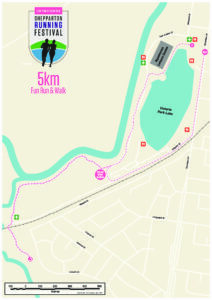 The 5KM Pink Ribbon Run is known for being a fun distance. Gather your friends, family or running buddies and run or walk around the stunning Victoria Park Lake. You will be supporting our Charity Partner, Shepparton’s Pink Ribbon Brunch and raising valuable funds for Breast Cancer Research. 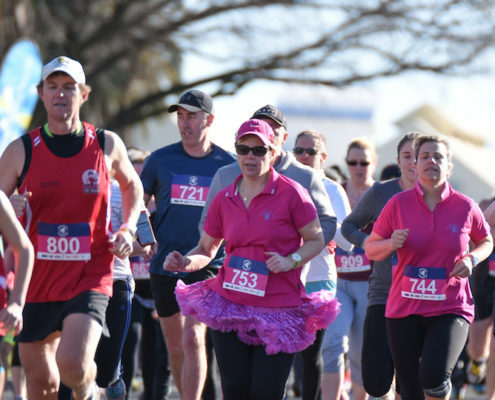 Enjoy being a part of the Shepparton Running Festival and don’t forget to dress in Pink! Thanks to our sponsors Shepparton News. Continue along the path for a short distance where you see the 5km turnaround point. This point will be signed and marshalled. Toilets are available on course and in the event venue close to the start/finish line. Aid Stations will be set up on course at regular intervals along the full course and will offer water, energy drink & lollies. Minimum unsupervised age is 12 years on race day. All male and female Age Category winners will receive a certificate recognising their achievement.